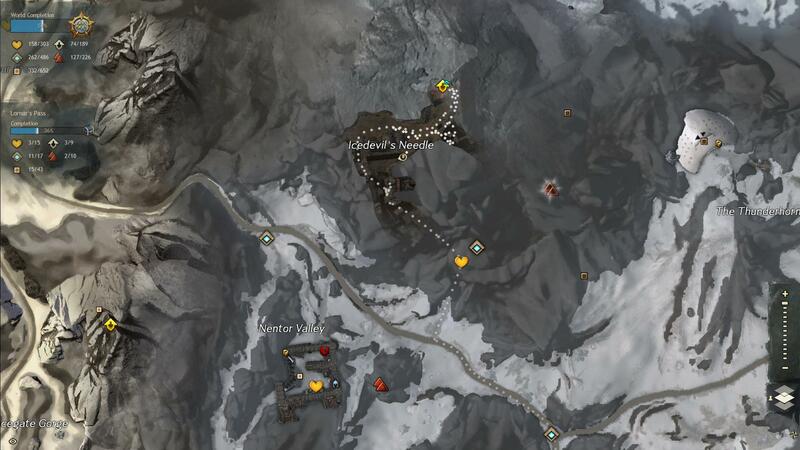 This entry was posted in Interactive Maps, Lornar's Pass and tagged explore, guide, Lornar's Pass, map, screenshot, Shiverpeak Mountains, Skill Point by Mikro. Bookmark the permalink. 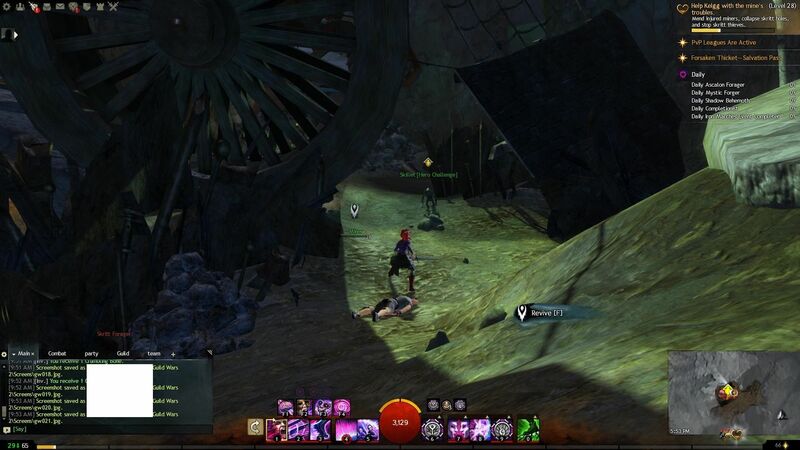 I’m sorry, but this “guide” is completely useless- it shows 4 screenies of somebody looking at and then fighting the SP boss, without a CLUE how to get there in the labyrinth that is the mine. How to get there is, of course, the ONLY info we come to this guide to find. 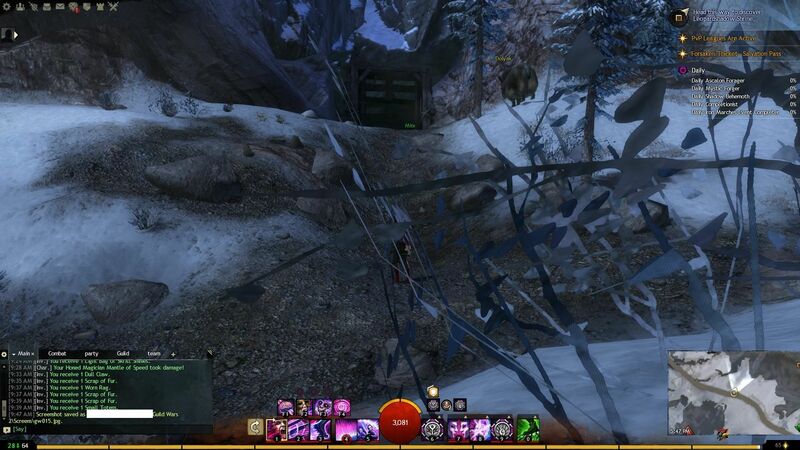 Even the mini-map inserts in all 4 screenies are completely unrevealing and useless. May I respectfully request that SOMEone, SOMEwhere, actually LOOK AT these so-called ‘guides’ before publishing them on the web? Without exception, the ONLY info we need for Hearts, POIs, Skill Points and Vistas is: (1) WHERE is the starting point to get there; and (2) HOW do we proceed from that point to the objective if the way is not obvious? Any ‘guide’ that does not in some way depict that information should not be published. OK, here’s how I got there after NO HELP AT ALL from this website. NOTE: There are two paths leading to the SP. I chose this path due to the minimal number of mobs in the way. 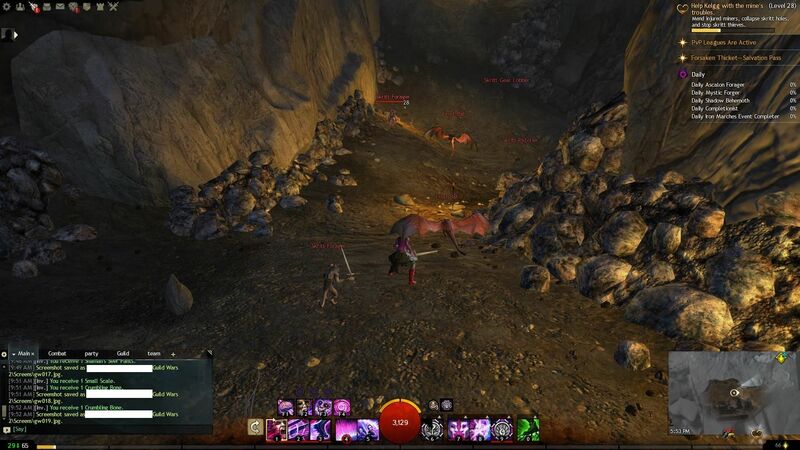 The other path is twice as long or more, and has MANY more mobs. 1. Mine entrance is just NE of the Vista near Nentor Valley, just north of the NW/SE road. 2. 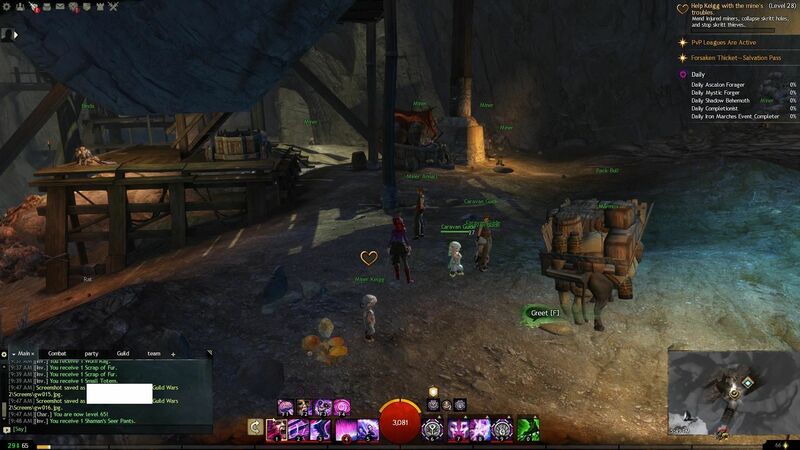 Go NNE to the Renown Heart just inside the mine entrance. 3. Head WNW toward “Icedevils’ Needle” along an elevated ledge toward the right of the passage. 4. 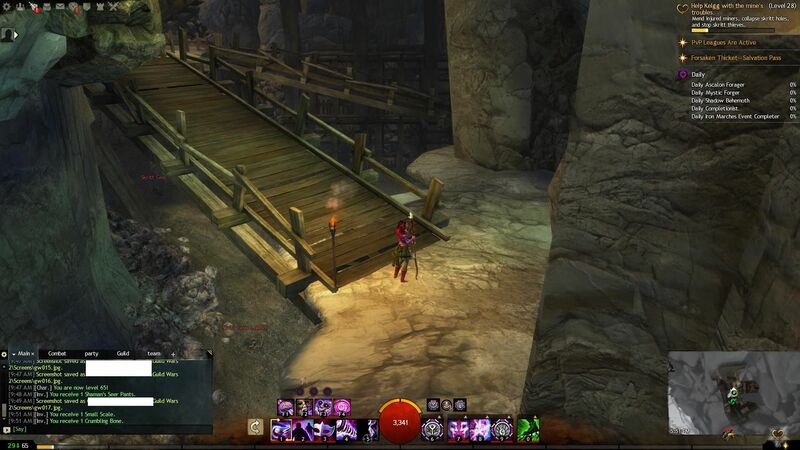 When that ledge veers right toward many mobs, turn left (SW) up a short wooden ramp across the narrow gorge. 5. Turn right (N) up the narrow rocky ledge. 5. Hug the left wall and continue NNW along the ledge, hopping down a short drop to bypass the platform with mobs on your right. 6. Turn right and go E down a longish ramp. 7. 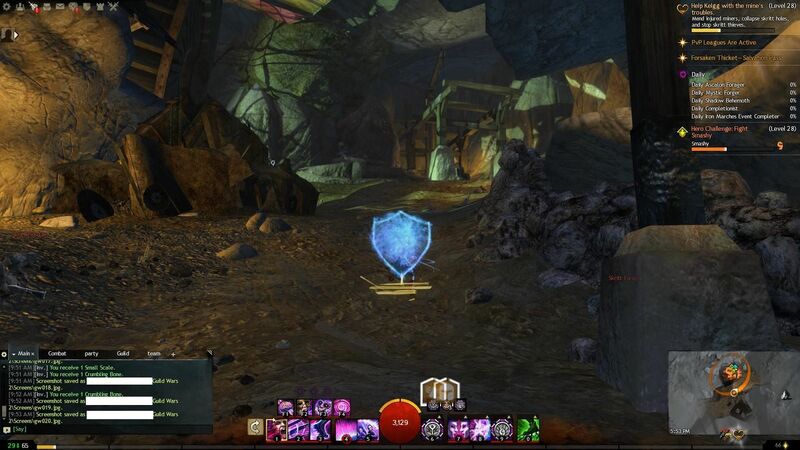 Follow the passage a bit, clearing the occasional mob then turn left to face the Skill Point boss. 1 Tasks missing, over all, there are 15 of them. I followed the steps posted by HoggyDog.